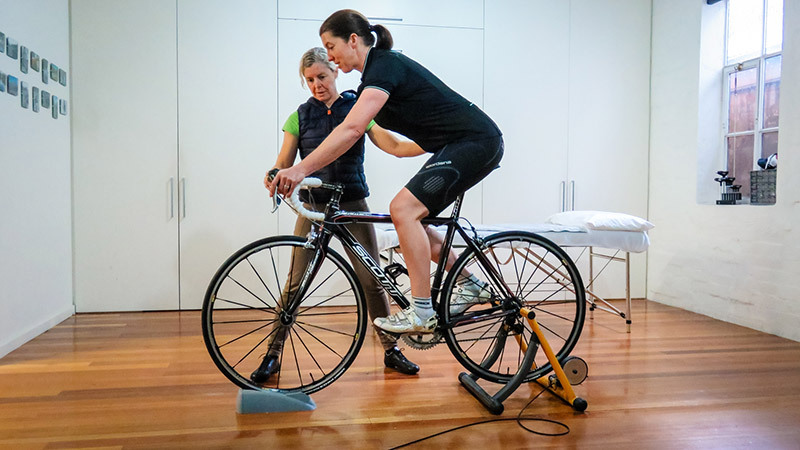 A comprehensive bike fitting and cyclist assessment conducted by experienced physiotherapists experienced in cycling from the elite to recreational level. 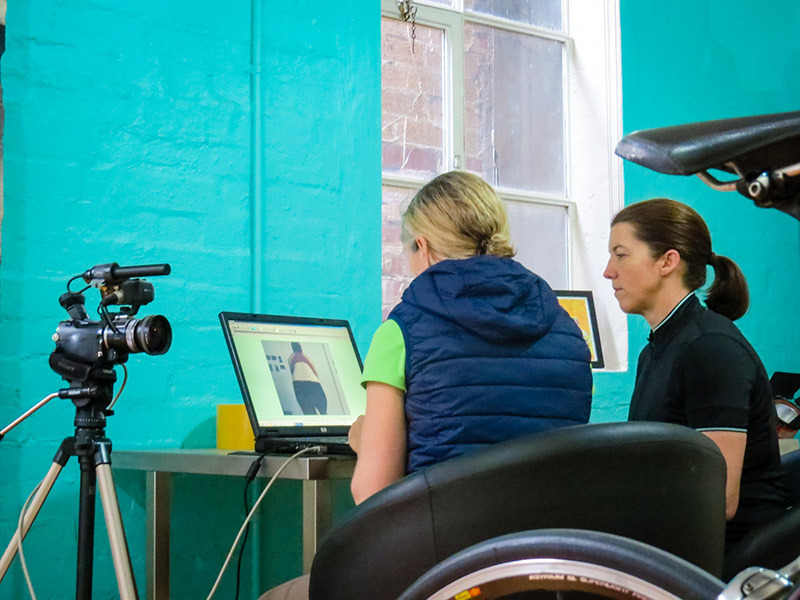 Your Physio Bike Fit practitioner will sit down with you and take a full and comprehensive subjective physiotherapy assessment. 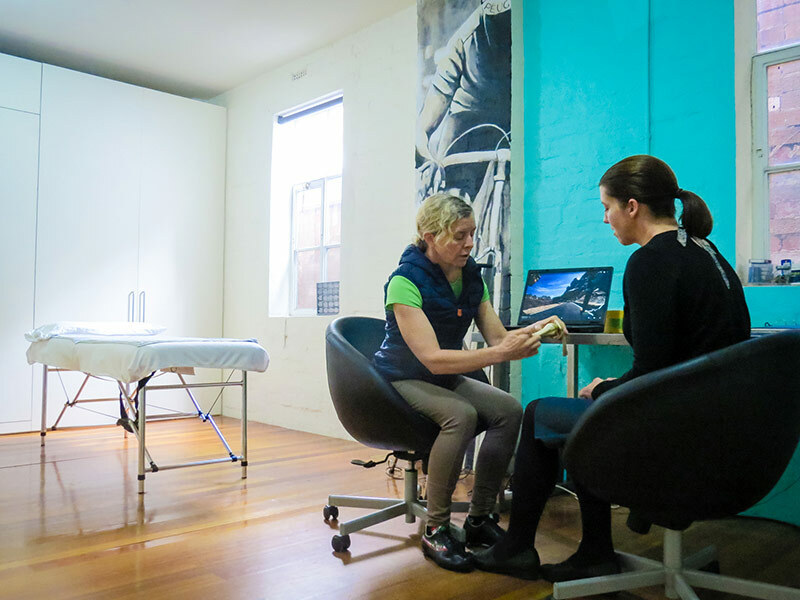 This will include details of any injury history you may have had and encompasses communication from your current treating practitioner ie doctor, physio, chiro, osteo or masseur and the results of any prior relevant investigations. 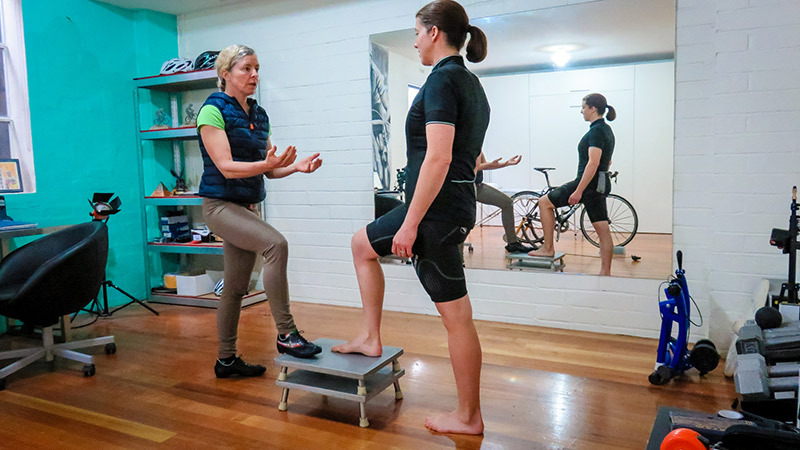 Your practitioner will conduct a full and comprehensive physical assessment of your body, with particular attention to any existing or old areas of injury and an assessment of the sort of requirements you need to be able to ride a bike without pain/injury. 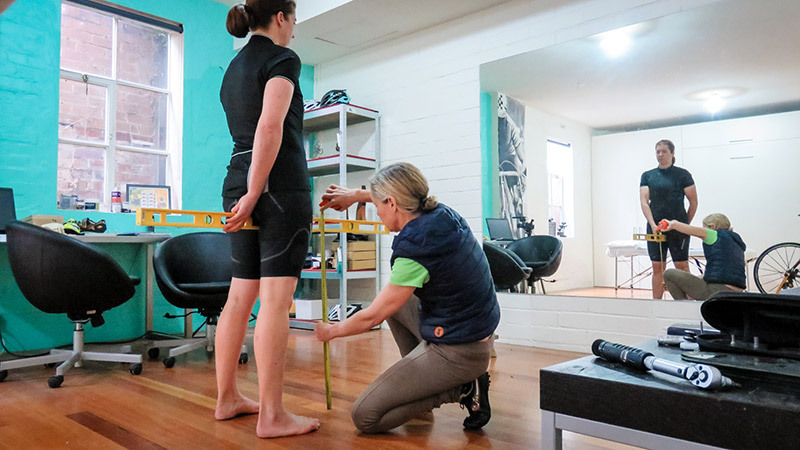 Your practitioner will take certain measurements of your body (height, inseam, arm expanse etc) to establish a (rough) desired range that the settings of the bicycle should fall into ie frame size, seat height, crank length etc. The bicycle is an ergonomic piece of equipment hence the settings will vary depending upon the measurements of the user. 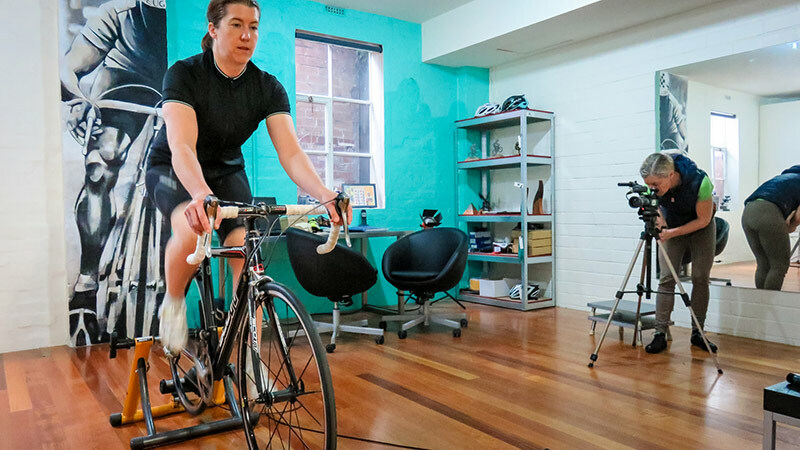 Your practitioner will look at you stationary on the bicycle (mounted on a wind-trainer) and do further measurements (such as cleat position and your knee alignment) and also look at some quick tests to establish desired positioning for optimum injury prevention/ergonomics. 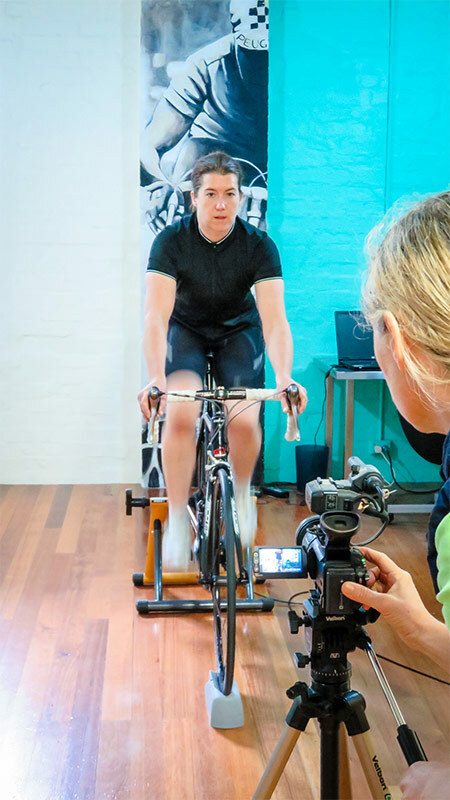 Your practitioner will then get you cycling on the wind trainer and video (from 4 sides) will be used to further assess position/ergonomics/injury causation, ‘in motion’ the ultimate tool for injury assessment. You will sit down with the practitioner and review the video. Our capture program allows us to freeze frame, slow motion, draw angles on and add text comments onto still photographs for later reference. At this point the client should gain an understanding of how physical deficits (picked up in the subjective and objective assessment) relate to what is happening during cycling. This also allows for further review of any suggested changes to the bike set-up (fit of the bicycle). This may be done at an earlier point of assessment if the changes are obvious or it may be done post video if there is some ambiguity of desired positioning. Please note that complex changes will be recommended and may need to be done by a bicycle shop/mechanic. The sorts of things the physio can alter are: seat height, seat fore/aft, cleat position, lever position, stem length (depending upon cable length and compatibility), saddle type. As your practitioner is a cyclist and has an understanding of the particular needs of the sport, the future directive for appropriate rehabilitation may vary slightly to skew things in favour of the physical demands of cycling. 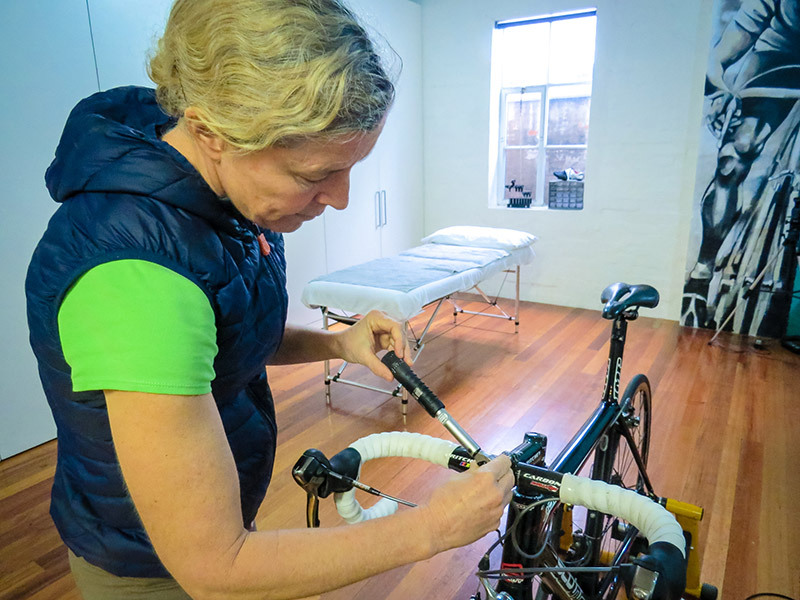 Your practitioner will review your current exercise routine and suggest any ‘missed’ areas that have been picked up following the comprehensive bicycle fitting process. 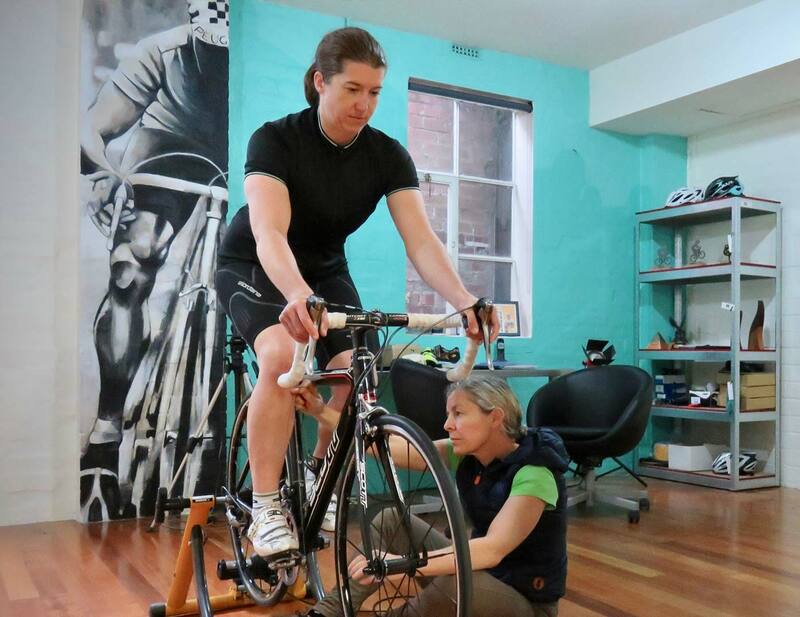 This will be relayed back to your referring practitioner as most bicycle fitting appointments are a ‘one-off’. You will get a copy of the findings of your subjective and objective assessment, your physical measurements and the bicycle measurements. You should be able to apply these to any future bicycle. You will also get a MPEG movie in dropbox of the video analysis and still JPEGS with any relevant commentary; this is a great tool for your treating practitioner to see. 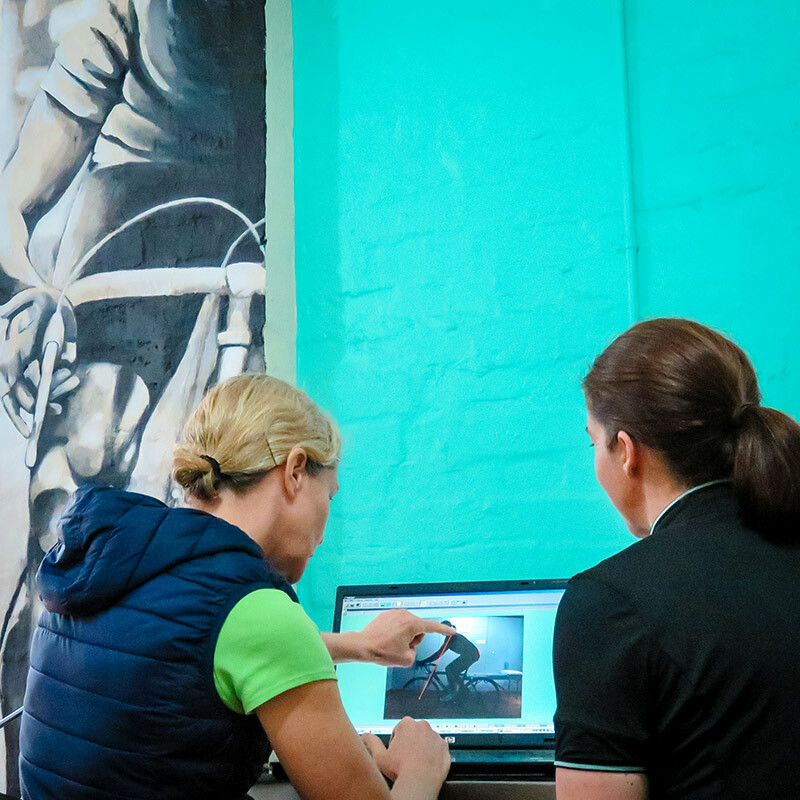 Most small issues that may arise post fit can be dealt with via email, some clients prefer to do a follow up one hour assessment particularly if the issues they have are complex, if they currently do not have another physio, or if there are drastic changes to the bicycle fit following the assessment – such as new equipment.